Organization Bio: Online publication dedicated to digging deeper into authentic and inspiring travel experiences. 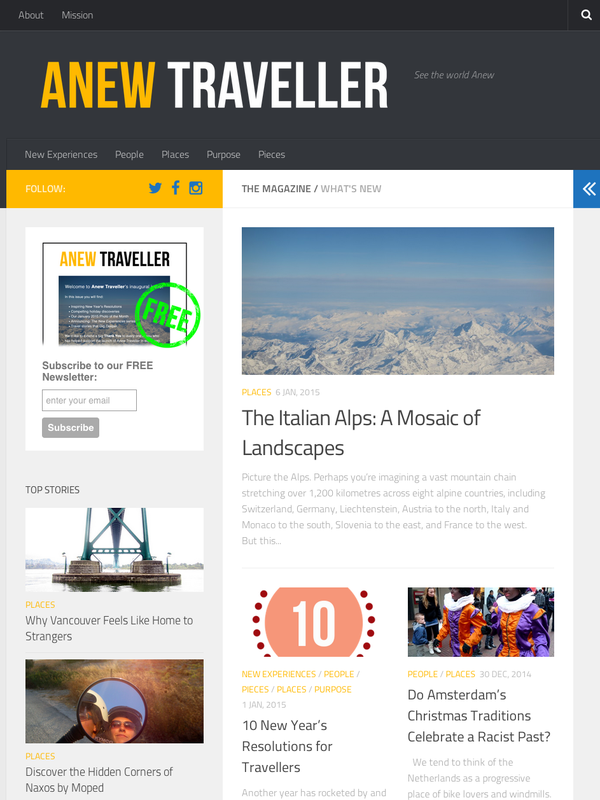 Summary: I launched this online publication, Anew Traveller, to publish authentic and inspiring travel stories and photography, and to cultivate a strong community of people who love and support the wonderful world we live in. Read more about Anew Traveller and our UNESCO Mission. Target Audience: Globally-minded travel, world, people, environment and culture lovers seeking a more authentic and thoughtful approach to life's journeys.